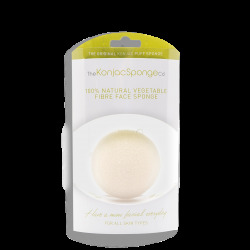 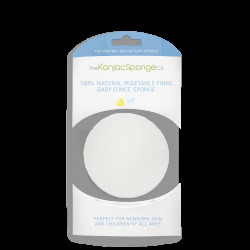 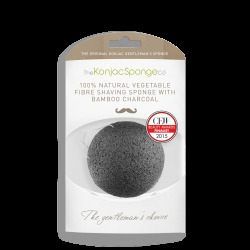 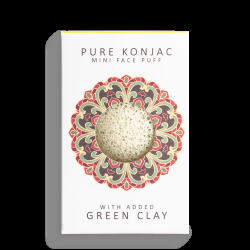 The completely reusable Konjac Eye and Make-Up Cleansing pads are the kindest way to remove make up and delicately exfoliate the eye area. 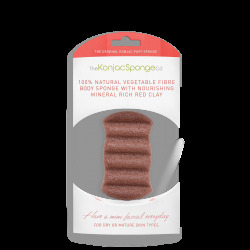 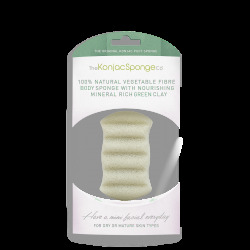 The wafer like circles of 100% pure konjac fibre should be hydrated under warm water and then gently squeezed out. 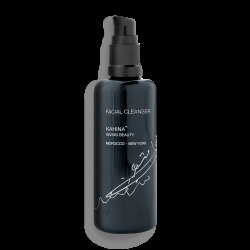 Then simply add a small amount of your favourite cleansing products, to remove your make up. 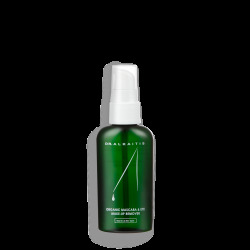 If you are wearing water soluble make up, or no make-up at all, no additional cleansers will be needed. 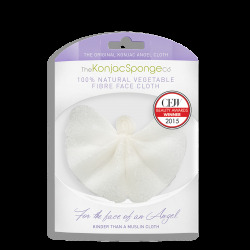 The pads should then be rinsed out and popped into the mesh bag that comes with the kit, and hung to air dry. 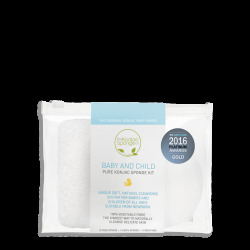 Its just like having cotton pads, but with greater benefits to you and the environment.The kit contains 8 cleansing pads, a mesh drying bag and a soft clear travel and carry pouch. 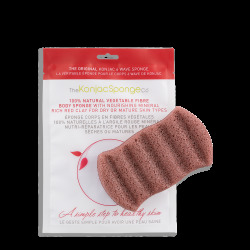 The pads are delivered in dry form, hydrate in water before use. 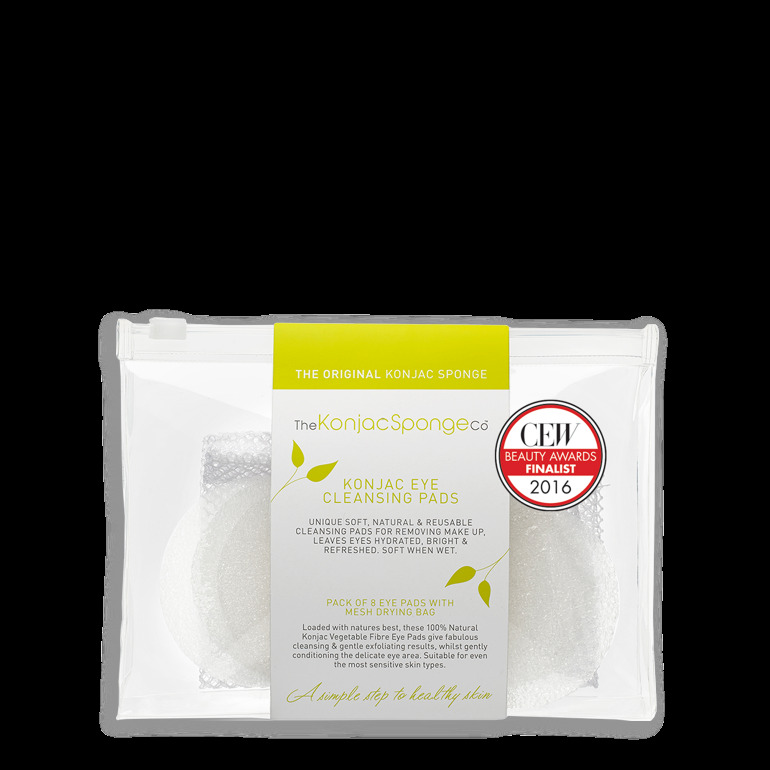 The pouch is designed for when you are on the move, so remember to hang your damp pads out to dry in the mesh bag between use. 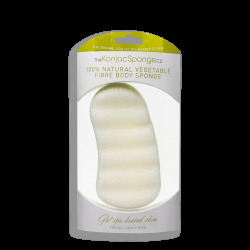 Before use, rinse the sponge in warm water. 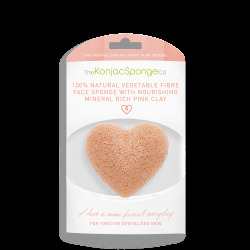 If the sponge has dried out, always allow it to fully absorb water before putting against your skin.Gently massage the face and body in circular motion all over, to exfoliate dead skin cells, and deeply cleanse. 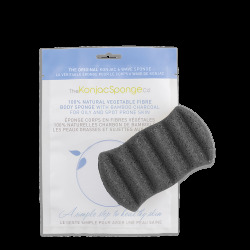 The massaging will stimulate tired skin & encourage skin renewal. 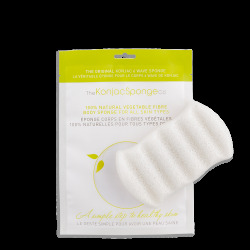 Soap or cleansing solution can be added to the sponge if desired, but is not necessary.Your sponge should last several months, but once it starts to look tired, or starts to break down. 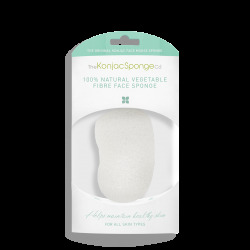 Please replace it. 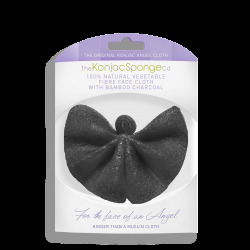 The better care you take of your sponge, the longer it will last.